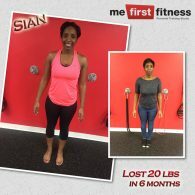 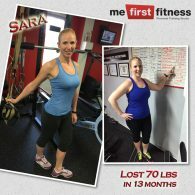 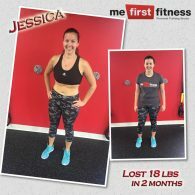 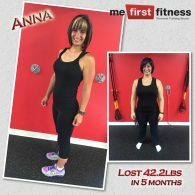 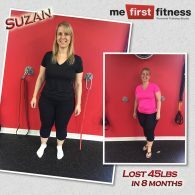 “I started coming to Me First Fitness in January 2017 as part of a weight loss challenge as I had finally made a decision that I needed to do something for myself for a change. 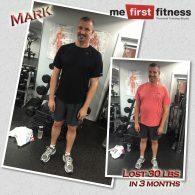 I was approaching 50 and had been steadily gaining a few pounds every year from working long hours every day and then sitting in front of a TV all night. 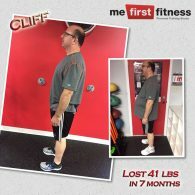 Over time a few pounds each year adds up to a lot. 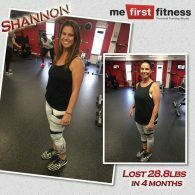 In the very beginning I felt apprehensive going to the classes and feeling the effects days later, but I knew it wasn’t going to be an overnight fix. 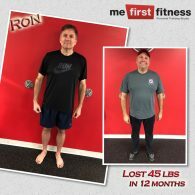 Luckily that feeling went away quickly as I soon started seeing the positive impacts of exercising and watching my food intake as I started losing weight.